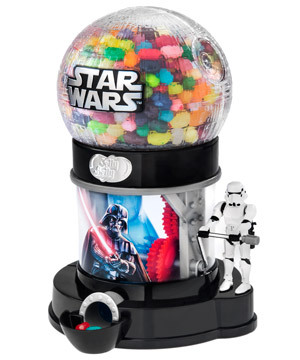 Dispense a little sweetness from the dark side with the Star Wars Jelly Belly Bean Machine. 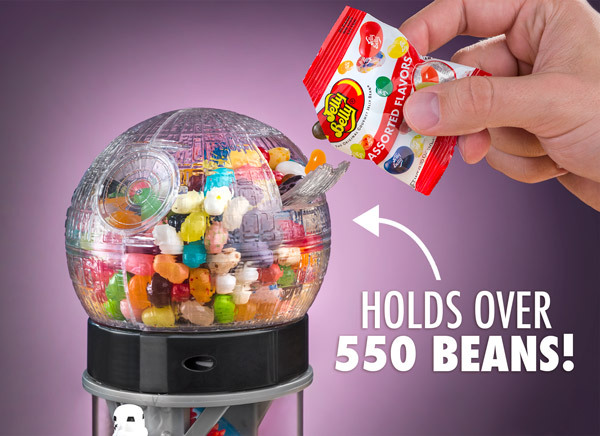 This officially licensed candy dispenser can hold up to 23 ounces (about 570 beans!) of the original gourmet jelly bean within its Death Star. 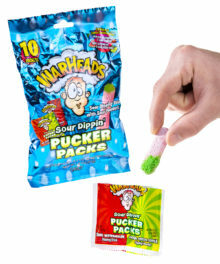 To retrieve your bean, simply push down on the Stormtrooper and watch as your candy shoots down the translucent blue tube. The Death Star was made to blow up planets, but the Jelly Belly Star Wars Bean Machine is made to blow up your tastebuds. Easily dispense the original gourmet jelly bean from the house that Vader built. A Storm Trooper stands at the ready to deliver you your sweet treat. Push down and a bean will wind 'round a translucent blue tube and then slide out to be devoured. Careful, if those beans aren't yours, you may lose a hand. 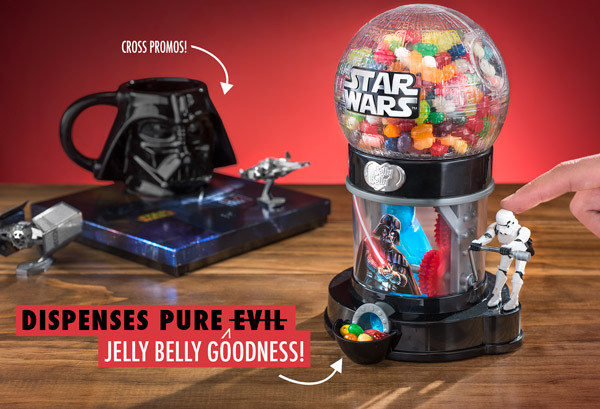 Killer cross promos: Darth Vader Mug, Star Wars Metal Works, and Star Wars Jelly Beans. Check out the video below to watch the jelly beans slide down the tube and out to an eager hand. The Jelly Belly Bean Machine can hold up to 23 ounces of the best jelly beans in the galaxy. 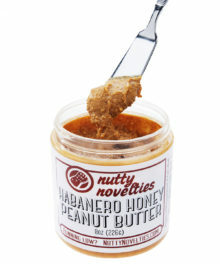 Choose your favorite flavors, as there are more than you can shake a lightsaber at. Once the Death Star has been emptied of its precious cargo, a small hatch allows more beans to be loaded. Just make sure Luke doesn’t get an X-Wing in there. You might eat all of them in less than 12 parsecs. Question: What happens if I run out of jelly beans? 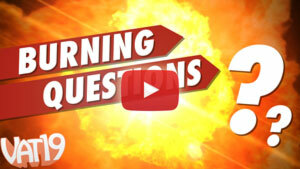 Answer: We recommend you get some more. 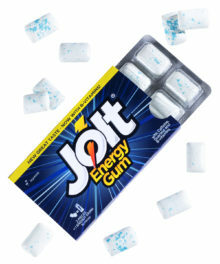 Question: Can I put other kinds of candy in it? Answer: Smaller candy will likely work, but this dispenser is made specifically for jelly beans. 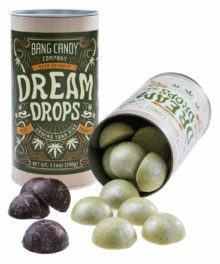 A bigger candy might blow up the Death Star.